UFC Fight Night 23 participants were issued 10 day suspensions each. Some are even suspended for a longer period of time. 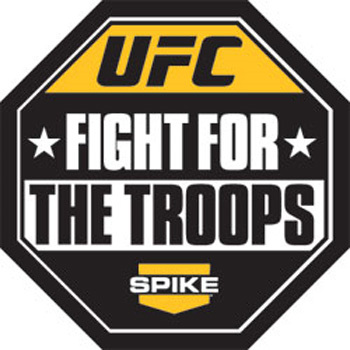 The “UFC Fight Night 23: UFC Fight for the Troops 2″ has its own fair share of suspensions. However, some fighters are restricted to do vigorous activities longer than others. The event concluded last Jan. 22 at Fort Hood in Texas. The main card aired on Spike TV while the preliminaries streamed on Facebook. A mandatory 8 to 10-day suspensions were given to all of the fighters. Meanwhile, Evan Dunham, Hague and George Roop – were all issued 31-day suspensions following knockout losses. Melvin Guillard brutalizes Evan Dunham! Guillard defeated Dunham (TKO) in just one round, unbelievable! 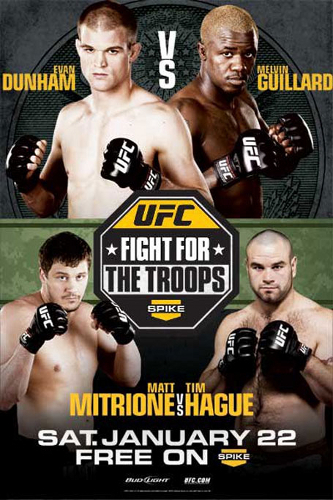 Main card result: Melvin Guillard won against Evan Dunham at the UFC Fight Night 23: UFC Fights for the Troops 2. It took Guillard a single round to defeat his opponent. The event game serves as a fundraiser activity which proceeds go to Intrepid Fallen Heroes Fund. If you miss to watch the game here is the recap result match from “UFC Fight Night 23″ event. 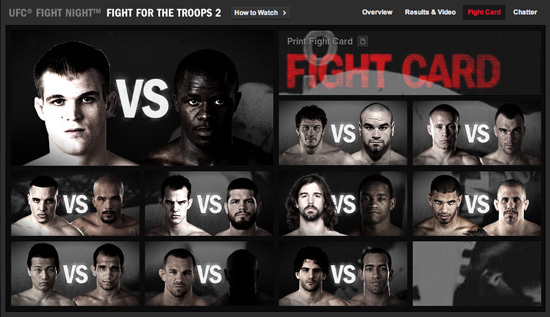 Edwards and McKenzie completed the official fight card for UFC Fight Night 23: Fight for the Troops 2. McKenzie was asked to replace Melvin Guillard. The latter is about to face a main-event fight with Evan Dunham. Kenny Florian is out on UFC Fight Night 23. After a knee injury, he was forced to let go of the fight. 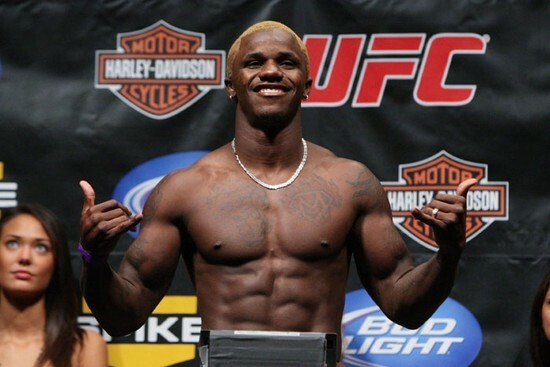 Melvin Guillard will replace the latter promoting him from preliminary card to main fight. Melvin Guillard will now face his fellow lightweight Evan Dunham on the Spike TV-televised headliner. As expected by many, Melvin Guillard has already replaced injured Kenny Florian on January 2011’s “UFC Fight Night 23: UFC Fight for the Troops 2″ event. Guillard (25-8 MMA, 8-4 UFC) will now meet fellow lightweight Evan Dunham (11-1 MMA, 4-1 UFC) in a Spike TV-televised headliner. Officials from the organization confirmed it during today’s new episode of “UFC Ultimate Insider” on UFC.com. Florian’s unfortunate destiny was due to a knee injury, and Guillar is very fortunate to be promoted him from a preliminary-card fight with Yves Edwards to a main-event slot. As we first reported, Edwards (38-16-1 MMA, 6-4 UFC) now is expected to fight “The Ultimate Fighter 12″ cast member and guillotine-choke specialist Cody McKenzie (12-0 MMA, 1-0 UFC).